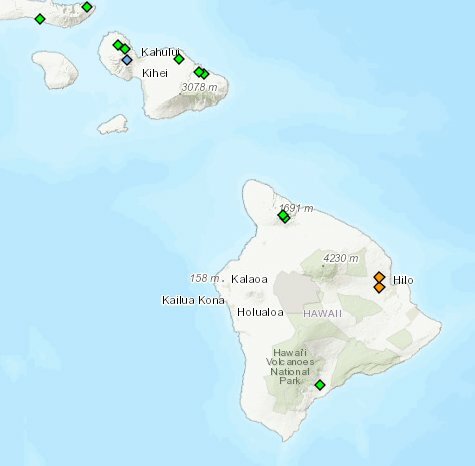 (1) A quick guide on following river level gauges: A key indicator of Hurricane #Lane effects in real time. 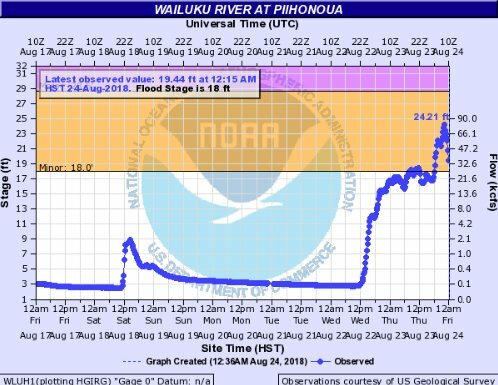 Notice the color of the river level gauges. These two orange ones are "in flood." 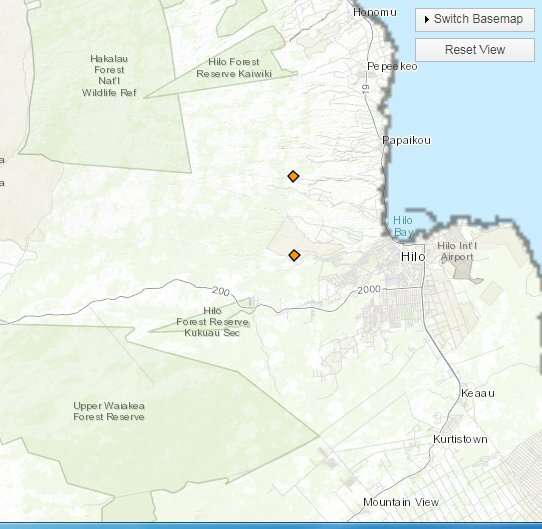 (2) Zooming in, you see a creek and a river near the town of #Hilo. Hover over an orange diamond, and the river level chart should come into view. Don't click on the diamond. (3) Depending on the available data, the chart will show current & recent river levels, and the feet above sea level where it enters the "minor flood" and then "major flood" stages. This flooding is only the start of the multi-day #Lane related flooding.